I need to get a photo printer! I feel like it took forever to get these photos from Snapfish! It is hard to keep up with Project Life when you are waiting on photos all the time. I've heard a lot about the Cannon Selphy... any other suggestions? For the Left side of Week 1, I used a lot of photos and very few new cards! I cut down 2 photos and used them in the 3x4 slots and I used 1 full 4x6 photo in the bottom right slot. I also used the back sides of the cards that I used on my cover page. The top right card is the back of the "Embark on adventures" card from the WRMK Blackboard kit. The "i love us" card, also from the WRMK Blackboard kit, is the back side if the "remember this" journaling card from my cover page. The bottom right card is the back of the card from the PL Just Add Color Kit where I wrote 2014 on my cover page. I really only used 2 new cards on this page and they are very old cards from my original Project 365 Kit! I did not have a lot leftover after Project 365, but I want to try to use the bits I have left for my 2014 Project Life. The 2 cards from that kit are the "Week of" title card and the matching 3x4 card. 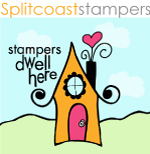 The Wednesday and Sunday stickers are also from my original Project 365 Kit and all of the die cuts are the printable cut outs from my January 2014 Gossamer Blue Life Pages Kit. 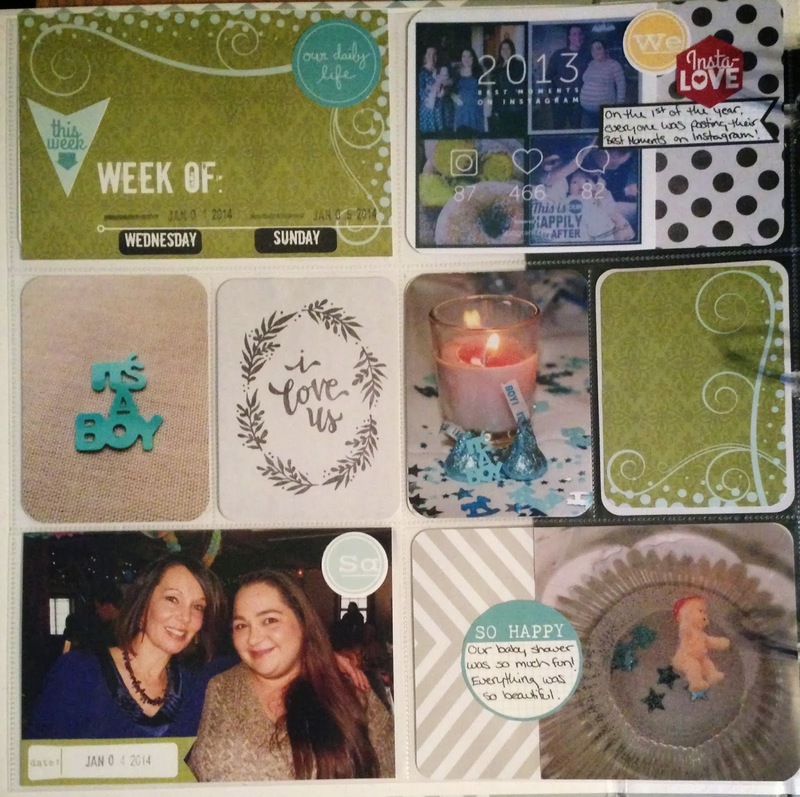 For the right side of Week 1, I used my January Gossamer Blue Life Pages Kit. 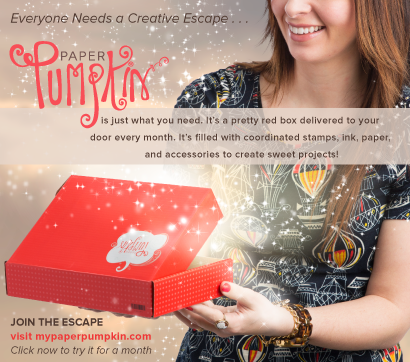 Everything is from the kit except the scrap of orange patterned paper and ribbon on the bottom right card.